Located in Hanoi (Hoan Kiem), Hanoi Old Quarter Hostel is within a 10-minute walk of Hanoi Old City Gate and Dong Xuan Market. This hotel is 0.8 mi (1.2 km) from Hoan Kiem Lake and 0.5 mi (0.8 km) from Thang Long Water Puppet Theatre. 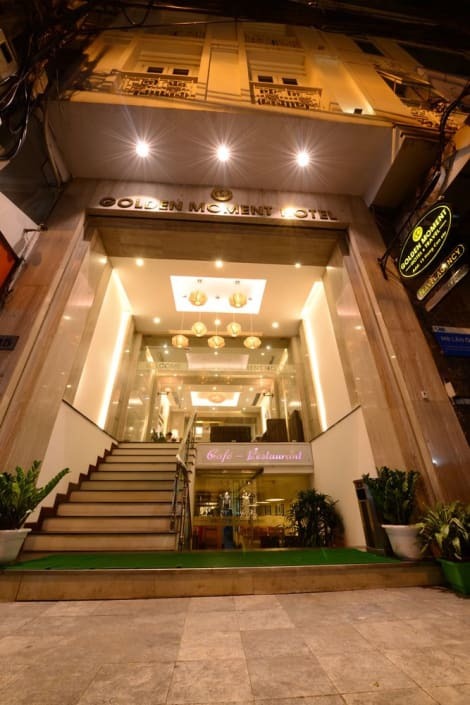 Located in Hanoi (Hoan Kiem), Golden Sun Suites Hotel is within a 10-minute walk of Thang Long Water Puppet Theatre and St. Joseph's Cathedral. This hotel is 0.5 mi (0.8 km) from Hanoi Old City Gate and 0.6 mi (0.9 km) from Hoan Kiem Lake. At Hanoi Posh Hotel, enjoy a satisfying meal at the restaurant. Quench your thirst with your favorite drink at the bar/lounge. A complimentary cooked-to-order breakfast is served daily from 7 AM to 9 AM.